The Peppercon LARA (note, not peppercorn, nor peppercom) is an IP-KVM device produced around 2002 by Peppercon AG of Germany. LARA is one of those “fancy” recursive acronyms standing for LARA Advanced Remote Administration. For those who aren’t familiar, an IP KVM is a device which attaches to a computer’s keyboard, video and mouse ports in order to allow the console to be accessed remotely via an IP network. This allows for remote administration over Ethernet, ISDN or by modem connected to a serial port. This particular unit has additional features which allow for interfacing to an external power switch unit, or for a special header set-up which allows for the ATX power button to be controlled by the LARA itself. Peppercon were acquired by Raritan in 2004, leaving very little trace of the company. Information on the Peppercon LARA is pretty rare online. There is a preliminary manual still available from daxten.com, the product page itself on daxten.com and a firmware download for the whole family of devices at the End of Life support section of Raritan’s website, which is a good start for getting one “going” again. It just so happened to be just one of the many devices which was part of a “bulk” salvage done on my behalf. It’s definitely mysterious as I’ve never had one, and “out of band” management devices such as these were only used by those operating critical servers. The Peppercon LARA was a long black aluminium box with ports on each end. The front of the box features LED indicators, a reset button, and a monitor, keyboard and mouse pass-through for the local console to use. One of the monitor lead screw sockets snapped off, but I replaced it later with a spare I stole from an unused serial header. The rear panel houses the connections for the two serial ports, and for inputting the Keyboard, Mouse and Video signals from the computer through a special DB25 cable. There are RJ45 jacks for ISDN and Ethernet interface, and a latching 4-pin power cable, that only supplies 12v, 1A. The plates at both ends are vented, but there is no active cooling. The box itself was moderately long, and on the underside, it is identified by MAC address and serial number. The unit was provided with its proprietary DB25 lead, which splits out into VGA input, PS/2 connectors for keyboard and mouse, and a USB connector (whose functionality is unknown – I couldn’t get it to register as any device whatsoever). 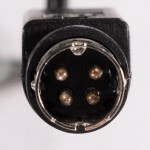 It was also provided with a DB-9 to DB-9 serial lead, which was a null modem lead intended to connect the LARA to a computer to run configuration through the serial port. The serial port parameters for configuration are 115200-8-N-1 with no flow control. It was also supplied with its matching ENG branded power supply, which utilizes a connector which is similar to that used by LaCie external drives, but curiously is a latching type with only one rail (why bother with four pins?). 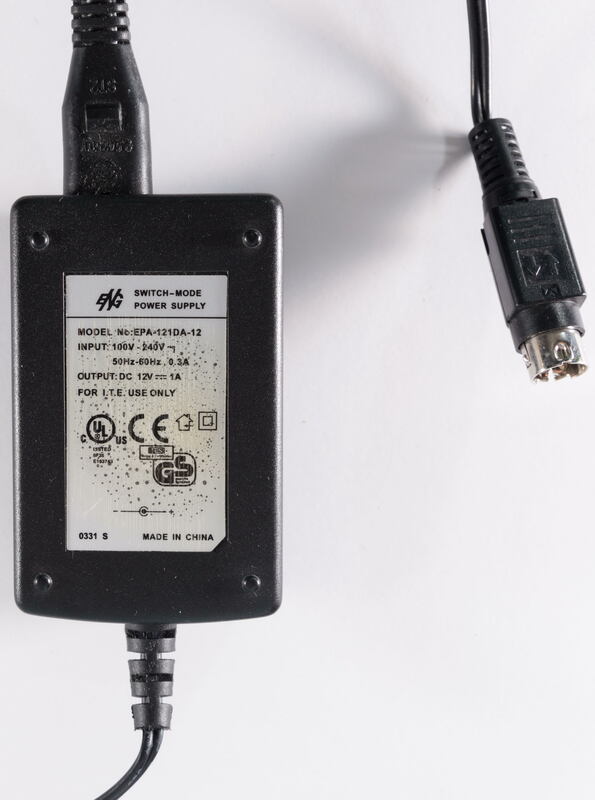 The underside of the adapter seems to have suggested it was made in Week 31 of 2003, and it was probably powered on all the time and the heat has caused the label to craze and discolour. Now that we’ve taken a look at LARA’s outsides, lets open her up and take a look at her insides. It’s likely to be quite sophisticated, as it is a standalone embedded computer that’s working with capturing video from the VGA port at up to 1280 x 1024 at 60Hz, and dealing with compression for transmission over Ethernet. The top of the mainboard gives some information about the device itself. It seems to have been tested or distributed by Zantech in January or February of 2004 judging by the labels. It might have been tested by the factory on Week 47 of 2003 according to another label. The board itself is a LARA V1.4 by Peppercon AG, with a copyright date of 2003. There’s a good number of chips on the board. It seems the thick ground plane traces at the top with three thin traces are the red, green and blue components of the VGA signal heading for an Analog Devices AD8075 500Mhz Video Buffer to be repeated out the front VGA connector, and an Analog Devices AD9888 Analog Flat Panel Interface for digitizing. In fact, it actually tells us the problem of capturing the analog VGA signal is the same as that of a digital flat panel LCD syncing up to an analog VGA signal. There seems to be two hefty CPUs of some sort, hidden under heatsinks with permanent adhesive. But surrounding the bottom one is a bank of four Hynix HY57V161610D 512kbit x 16 x 2 SDRAM, making a total of 8 Megabytes of RAM. Next to the other CPU is two Samsung K4S281632D-TC75 2Mbit x 16 x 4 SDRAM, making an additional 32 Megabytes of RAM. The software is likely stored in the Intel E28F320J3A110 32Mbit (4 Megabyte) Flash chip. Lattice ispLSI 2128VE which is a programmable logic device, which is a flexible logic chip similar to an FPGA. A pair of Averlogic AL440B-24 4Mbit FIFO field memory buffer, likely to buffer the video lines from the Analog Devices AD9888. An Cologne Chip HFC-S PCI A ISDN FIFO controller which is responsible for handling the ISDN interface. An Analog Devices ADM3202ARW RS-232 line driver/receiver for converting the 3.3v CPU serial interface to full RS232 line levels. A Philips ISP1181 full speed USB interface. An Intel LXT972ALC dual speed fast Ethernet transceiver for the Ethernet interface. Other devices seem to be standard regulators, magnetics for different interfaces, capacitors, inductors, battery backup (maybe for an RTC) and assorted amplifiers. There seems to be a socket for an additional ROM, but is unused, and a jumper in the bottom left which isn’t marked. 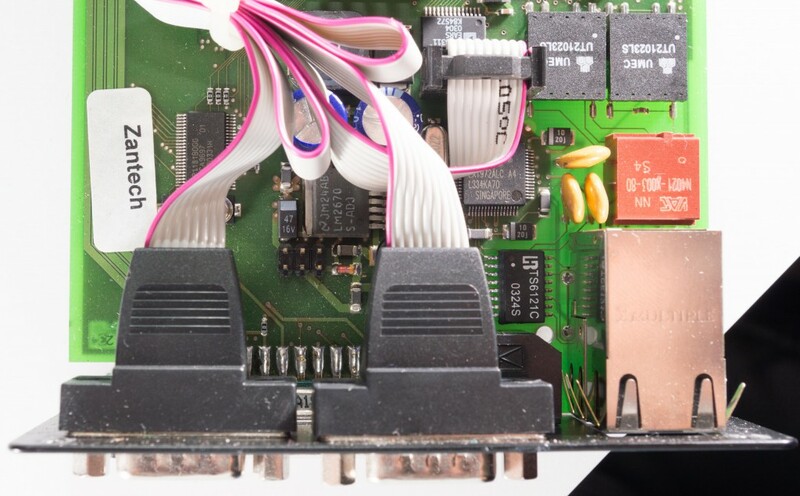 The front section which connects the local console is jumpered over by surface mount 0-ohm links, and is marked with “Breakaway” which indicates that there may have been models of LARA with no pass-through capability based upon the exact same PCB. That may also be the reason for the gold header pins just next to the breakaway section, as it may have allowed for the break-away to be snapped off, and the remote ports connected via ribbon for a different product enclosure. The underside is a mass of traces, as this is a four layer PCB board, and has many surface mount caps for the CPUs to keep their power nice and clean. Only the bottom DB25 connector is mounted to the board directly, the two serial ports above are connected by ribbon. *Quiet chuckle*. It’s not as easy as it sounds. I plugged her in and absolutely nothing happened. Not a blip from the LEDs, not a sound from the power supply. I took a good look at the power cable and the problem was obvious. Can you spot it? Notice how the left socket of the figure 8 connector shows a little corrosion? It turns out that the power supply has developed some internal corrosion which can only mean one thing – bad caps. Their vented, boiled electrolyte causes chemical reactions with metal stuff – so the power supply was bad. It seems that the degrading capacitors may have also caused additional stress and ripple currents to flow. The PCB itself is quite discoloured around the transformer pins it seems. Even the rear of the case has some burn marks which suggest some severe heat stress. The swollen caps are on both the primary and secondary. I wouldn’t be surprised if the primary one arced through and blew up anytime now. Maybe it has shorted and the fuse has gone – but I didn’t take the time to measure. The messy green corrosion on the fuse only hints at the acrid environment that must have been inside the case of this power supply. The sight from the top shows just how even the power inlet socket pins were corroded by the evaporating electrolyte. Given that it was a 12v 1A power supply, I cut the lead (the LARA is wired such that the lead with the white long dashes is the positive) and twisted it with the lead from a switching power supply of identical rating for an old Linksys Cisco router which I had disposed due to critical security flaws which they refused to patch. That finally bought about success, as the LEDs on the unit fired up immediately. We are in business. While I have no real reason to use a device like this, as software remote admin fills most of my needs, it would still be quite nice to get it working to see just what it was capable of about ten years ago. The first step to getting it working was to make LARA “forget” about the previous configuration (I don’t want it “contacting home” for example) and setting it up with values which I could use. The easiest way to do this is to perform configuration through Serial 1 console, provided it wasn’t disabled. I hooked up the other end of the null modem cable to my FTDI Serial to USB adapter, and fired up Hyperterminal at 115200-8-N-1 with No Flow Control, hit enter a few times and voila! The serial configuration utility is active and ready for use. It’s still configured with its previous 149.171.164.6 address, which is a UNSW IP Block address. It’s expected, because that’s where the device came from. Entering config followed by enter allows us to perform the basic network configuration, but unfortunately, it does not allow for you to reconfigure anything else including the login credentials. As a result, entering in the default of super and lara didn’t work. Notice that I’ve not connected the LAN interface so as to avoid it phoning home until after I finished this initial configuration. The reset button on the front panel only reboots the device, and pressing and holding it for various amounts of time, or pressing it while applying power did not reset the configuration to defaults. The manual didn’t say anything about it either. I decided to take a risk and jumper over the undocumented jumper on the board (necessitating a disassembly – it’s easily achieved by removing the two “screw sockets” for the VGA connector first, then removing the four corner screws on the opposing side, and sliding the whole assembly out). By booting with the jumper closed, hitting reset, then unjumpering, and hitting reset again, I was able to clear the device back to defaults. You will know you have hit the defaults when there is no IP address coming up and it defaults to DHCP instead on the serial configuration utility. It was just a simple case of performing the configuration again, and then we are set. Connect the VGA input to your computer, and your keyboard and mouse PS/2 plugs to the PS/2 ports on your computer – or in my case, as I had none, I opted to plug them into a USB to PS/2 converter which worked equally well. Unfortunately, plugging in the USB doesn’t seem to make a difference as none of my ports seem to detect a device … maybe there’s something wrong with the wire or a firmware limitation. Logging onto LARA is as simple as pointing a web browser at the IP address you configured (or it got from DHCP). The login page shows it is powered by GoAhead Webserver which is quite common amongst embedded devices such as routers. Login with the defaults of super and lara after a full reset and you will be greeted with the home page. In order to see the remote screen, you can hit the Show Remote Console link which will fire up a new window with the required Java applet. Due to the age and signature of the applet, you will be warned that it will be blocked in the future due to security restrictions, just proceed for now. As LARA doesn’t know by default where the mouse is, and can only send mouse movements via the PS/2 connection, you can experience severe issues where the mouse pointer is not synchronized to your movements in the applet. In order to avoid this problem happening, you should turn off any custom mouse drivers, mouse pointer acceleration and “enhance pointer precision” and set the slider to the middle. You need to initiate Intelligent Sync for the mouse, which will take over the mouse for a bit and try to “calibrate” the mouse-movement-input to number-of-pixel-movement-output. For this to work correctly, your screen view has to be properly synchronized. The screen can be synchronized with the button with a screen with four arrows in it – this is the same as hitting the “auto adjust” button on an LCD monitor connected to a VGA output. This will try to automatically work out the front and back porches, and the phase. This is only possible for modes below about 110Mhz pixel clock rate (maximum 1280 x 1024 at 60Hz from what I can tell). Sometimes, it can’t get it right, so you need to use a signal rich in transitions such as that on the lagom.nl LCD test pages for phase. Many of the options in the Java applet can be accessed from the options dropdown. LARA’s configuration is actually quite extensive, and taking a look through all of the configuration is always a good way to familiarize yourself with the possibilities which exist in a product. Lets start with the basic Remote Console Settings. There is an option for transmission encoding which allows for the compression mode to be fixed to some value to improve bandwidth use. The initial mode can be changed as well – monitor mode allows for you to see what is happening with the computer only, whereas exclusive access “blocks” the local console from interacting with the computer when the remote console is connected via IP. There is a Remote Console type choice, the default Java VM is chosen by default, although due to issues with Microsoft’s own Java VM in early Windows 9x OSes, you may need to choose Sun Microsystems Java Browser Plugin to force the use of the more complete Sun VM. There is also the choice of ActiveX, although that’s strictly an IE thing only and has almost been forgotten. Mouse Hotkey allows you to assign a hotkey to force mouse synchronization. Remote Console Button Keys allows for you to define a shortcut botton for certain key combinations. The Keyboard and Mouse settings page allows you to choose the type of keyboard and mouse that is emulated, and this includes an option for a Macintosh keyboard as well. There is also a choice of how the mouse synchronization will work – I’ve put it on Automatic speed detection, and with Intelligent Sync, it seems to work well. The KVM settings page allows you to set-up the LARA with a KVM in such a way that it will send the necessary keystrokes to the KVM to initiate a change of the controlled system. This allows for a single LARA unit to control multiple systems remotely, or if connected to a KVM matrix switch, for a set of LARA units to administer a set of machines. The video settings page allows you to disable the pass through video port, and to change the noise filter and video quality/speed setting. Setting this to anything below normal seems to show the LARA’s shortcomings when it comes to digitizing the VGA signal, as the IP remote console starts showing some flickering. There is a form which allows for you to add custom video modes to LARA, so it likely advertises them via its EDID. The network settings is pretty much the norm, but there is an option to limit the overall bandwidth of the LARA unit, which seems to work very well. Interestingly, that also can cause difficulty accessing the admin pages when the bandwidth is all taken up by the remote console video feed. The Dynamic DNS service, however, paints a sad story of how the loss of peppercon.com’s services means that this particular unit will not be able to work as a dynamic DNS client anymore. Having never met any equipment that could talk to an ISDN interface, this page is rather new to me. It seems that this supports two ISDN links, and can be used in bonded mode as well. It also has features for call-back (a security measure, where a request to remote administer will cause the box to hang-up on you and call a pre-defined number back to log in). The serial port config page makes it clear just how flexible this unit really is. On serial port 1, it can be operating as the configuration port (as we configured it earlier via serial), or even be a modem control port for a dial-in remote administration user. It is also capable of talking to an IPMI capable host over this port, or work as an IP serial port extender via telnet (if access is enabled). If that doesn’t fit the ticket, there’s also an option to use the first port to control an external power switch. The second serial port is less versatile, but can be used to control an internal ATX power button switch (an accessory that isn’t in the bundle I got) or an external switch. The security settings page allows you to force HTTPS access, and encryption of the KVM data. It also has TELNET access disabled by default, which will need to be enabled if you want to use telnet serial pass-through. IP access control is provided to allow for blacklisting or whitelisting of access from certain IP addresses or address ranges. There is also a limit you can set to reduce the risk from brute-force access attempts. LARA is also capable of being part of an SNMP community for remote monitoring of the status. The IPMI settings page allows for the configuration of addresses necessary for IPMI access over serial or LAN. The LDAP settings page allows you to set up authentication by LDAP server, easing administration for those with a large number of users and existing LDAP infrastructure. Finally, LARA’s maintenance page provides you information on the unit and provides you the ability to perform a firmware update or reboot the unit. This covers the majority of the configuration options offered through LARA’s web interface. It’s quite a bit more than I expected from a unit of this age. As almost everything about LARA’s operation is governed by firmware, updating the firmware is possible via the web interface. Unfortunately, this is where I ran into trouble – the final provided firmware on Raritan’s website is too new for this LARA as it doesn’t have a 04-base firmware to install from. Of course, all the resources that were formerly on the Peppercon site are no longer available. I can’t seem to find any older firmware, and I don’t know if anyone has archived them – please don’t ask me for them, because I don’t have them. As one of the earlier IP-KVM units that ever hit the market, the Peppercon LARA seems to work quite well, even today. Unfortunately, I’m missing the power-on/off function which makes it a little less useful, but it’s still very capable of digitizing a VGA connection, compressing it and delivering it over IP as it promises. Its reliance on Java, while considered a feature, is not compatible with tablet and phone users unfortunately, and the frame rates achievable are limited even over LAN. It’s philosophy of an independent “out of band” management device which can get you into the BIOS and (with the right accessory) power cycle your server is definitely something which is very useful to administrators. It’s a shame I couldn’t use the latest firmware with it, as that often means not being able to experience the “best” functionality available. Even then, these devices are considered old-fashioned today, with integrated lights-out management cards and devices in most servers taking over this role, with increased tamper-proof security (they can’t unplug it!). As it turns out, the only thing wrong with it, aside from its age and some quirks, was the power supply! This entry was posted in Computing, Salvage and tagged computer hardware, teardown. Bookmark the permalink. going to http://web.archive.org/web/*/http://download.raritan.com/* and entering ‘lara’ into the filter box leads to a version 4 upgrade instructions page. While the pdf file with the actual instructions is not available, the zipped firmware file (with “rc1” in its name) is archived. Don’t know if this is the v4 “base” firmware but you might as well give it a go. Great idea Christoph! I’ll be sure to give that a go – it seems fortunate if the ZIP file is archived as in my experience, archive.org’s coverage of downloads is rather spotty. Will post a new posting if all goes well! I have investigated, and it appears that firmware is not suitable as it is for the LARAeco which is a completely different product. However, there was an upgrade to build 666 from the 641 that was running on my device – many thanks for that! Oh well. Build 641 might actually be the last one for this model, as I notice they split it to lara and “lara14” which I presume means Lara revision 1.4 (which this one is). “lara14” only has 641 for it, whereas “lara” has 666. Very interesting to hear from you, and your comment is very much appreciated. It’s rare a piece of hardware is “reunited” with its supplier in this way, so this is pretty cool. 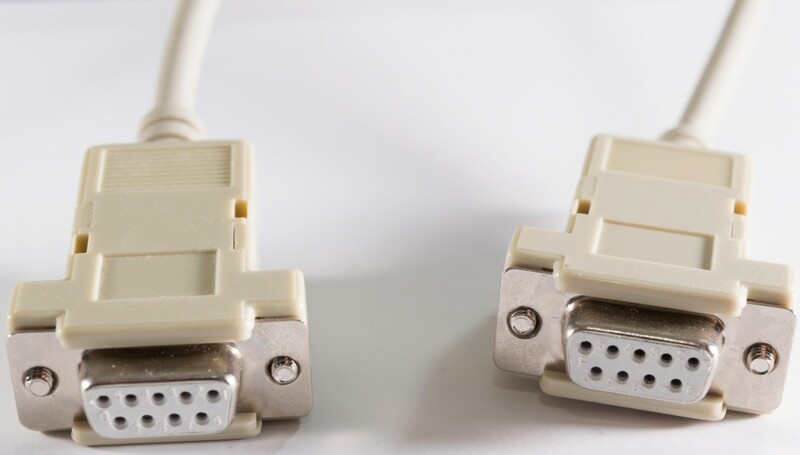 do you have the Pinout of the db25 connector? I have one unit but the db25 to vga ps/2 cable is missing. Sorry, no I do not have the pinout for the KVM and it’s nowhere nearby (so I can’t trace it for you even if I had the time). Sorry. I own the same LARA and I also investigated the firmware topic with the same results. Did you do some investigations how to use the serial2 for powercontrol ? Is the reset/power bracket passive ? I own the same Lara. Did any of you try to reverse engineer the reset/power bracket for serial 2 ? the powercontrol is quite easy. Just connect your reset line between pin 4 and 6or1 and power line between pin 7 and 8.
i have a similar device, the Lara Eco. Inside it looks similar to an eric express card. It has no jumper but its possible to reset to defaults by using the command “defaults” while connected on COM1. On a notebook i was not able to connect over hyperterminal but on another pc it worked, maybe not all com ports are able to use such high baud rate (115200). And i am wondering if its really possible to hook up the computer directly over USB port. Some KVM seem to be able to do multi protocol (PS2/USB). Till now i was using an standard dual PS2 to USB adapter and left the KVM on PS2 mode, but only keyboard was working. I am now successfully using USB protocol which is included in the VGA socket. Lara will register as an HID device under Windows, so you will able to see when its working. So i soldered an USB cable straight to the 24pin header on the Board (7=VBUS, 8=D+, 20=D-,16=GND). In addition i had to use an 15pin gender adapter (male/female) where i removed pin 4,9,11 in order to prevent that VGA is mixed with USB. Otherwise the HID adapter was disappearing because inside the VGA cable GND was having also contact to the USB pins. The local Keyboard/Mouse are not working in this configuration, so USB Keyboard/Mouse has to be connected to the Computer.